Top rated luxury cruise line, with impeccable service and incredible destinations. Crystal Cruises offers top-class, luxury voyages on nine sophisticated ships. Crystal Cruises sails an exceptionable range of itineraries, giving you access to exclusive destinations and unparalleled shore excursions. Crystal Cruises has been awarded more World's Best and Readers' Choice awards than any other cruise line, because at the heart of Crystal’s luxurious cruising, is great service. Your experience on board will include a staff to guest ratio of 1:1.6, concierge services, butler service in all suites, twice daily room service and more. Guests also benefit from exclusive 'Crystal Boutique Adventures'. At your destination, you will be met by a local expert and given a private tour of the region. Whether that is by fine dining at a Michelin-star restaurant in Sicily, a private viewing at Florence's Uffizi Gallery, or a cooking lesson with world renown chefs in New York. Crystal Cruises offers a magnificent collection of worldwide voyages. From the prestigious Monte Carlo to the yachting harbors of the Caribbean islands. Crystal Cruises will take you to the most renowned ports of call as well as the rare, lesser known gems. You'll never be bored on a day at sea, passengers are encouraged to participate in the Computer [email protected] - interactive Creative Learning Institute classes, or to attend lectures featuring top experts in their fields: keyboard lessons with Yamaha, language classes by Berlitz, wellness lectures with the Cleveland Clinic, and an introduction to tai chi with the Tai Chi Cultural Center. Enjoy an all-inclusive cruise onboard the Crystal Serenity, setting sail from Québec City, Canada. 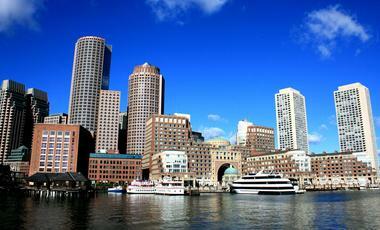 Visit Saint Lawrence River, Virginia and Bermuda including overnight stays in New York and Boston. Discover one of the most renowned and iconic cities in the world on your overnight stay in New York. See a Broadway show or visit the famous Empire State Building. Don't worry if you have no partner to sail with as Crystal is also known for being a great cruise line for singles! 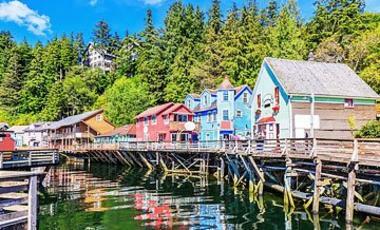 A roundtrip from Vancouver, Canada will take you to the most scenic ports and inlets in Alaska and northwestern Canada. Breathtaking scenic cruising awaits in the Inside Passage and Glacier Bay, while eye-opening discoveries are in store in ports including Ketchikan, Juneau, Skagway and Victoria. For Alaskan cruises, it is essential to have an outside cabin. As this is a roundtrip cruise, no matter which side of the ship your cabin is located, you will be able to see Alaska's incredible coastline on either the northbound or southbound section of your trip. In summer 2019, enjoy a week-long Mediterranean cruise, starting in Athens and ending in Dubrovnik. 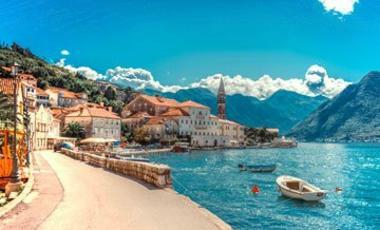 Take in all the best Greek ports along the way, including Corfu, Nydri and the historic Montenegrin city of Kotor. The Crystal Esprit is actually an ultramodern super-yacht. Small but spacious, this vessel holds a maximum of 62 passengers in contemporary suites. One of the benefits of sailing on a super-yacht is that it can traverse areas larger ships cannot, in this case, the architectural wonder that is the Corinth Canal. Crystal Serenity offers luxury across 13 decks. From Broadway shows to an elegant casino or perhaps just a relaxing evening on the Sun Deck - there is something for everyone to enjoy. The Crystal Symphony offers the utmost in luxury at sea. You have the choice between several restaurants. Unbeatable entertainment facilities ensure an unforgettable holiday experience with the Crystal Symphony. 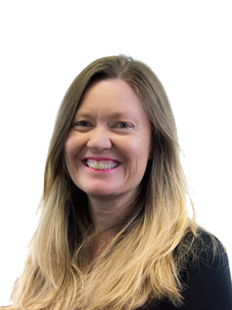 Embark on a journey with the Crystal Mahler on Europe's most legendary Rivers - the Rhine, Main and Danube. Experience unforgettable views and explore quaint villages filled all while enjoying the luxurious cabins and amenities the ship has to offer. Crystal Endeavor is the world's largest and most spacious luxury expedition yacht. It will sail the most exotic and far corners of the world, like the Arctic and the Antarctic. Crystal Cruises think of themselves as the best cruise line on the planet. And to be honest, they haveTravel + Leisure and Condé Nast Traveller, which is more than any other hotel, resort, or cruise line. They are consistently ranked among the world’s top luxury resorts on land and sea. So, when you book yourself a holiday on a six star Crystal Cruises ship, you know you’re in for something special. Crystal Cruises is open about the secret of its success – it’s all about service. Crystal Cruises’ staff has it down to a fine art; they are friendly without being overbearing and highly sophisticated without being archaic. When you step on board as a returning guest you will be greeted with a genuine smile by staff who remember your name and your favourite drink. If you don’t already have a destination in mind, you will soon be stuck for choice after seeing all of Crystal global destinations. It even has a sizeable variety of around-the-world cruises, the longest of which last over 100 days. But if circumnavigating the globe sounds a step too far, take advantage of the enormous selection of destinations offered by Crystal and go somewhere less-travelled. Let yourself be enthralled by the exotic traditional cultures of Asia while you sail around Bali, Singapore and Hong Kong. Sail from South America to South Africa and do some wildlife watching and wine tasting. Celebrate in Brazil or sail along the vibrant Panama Canal. If you are feeling adventurous, wrap up warm to discover the majestic scenery of the world’s coldest regions. 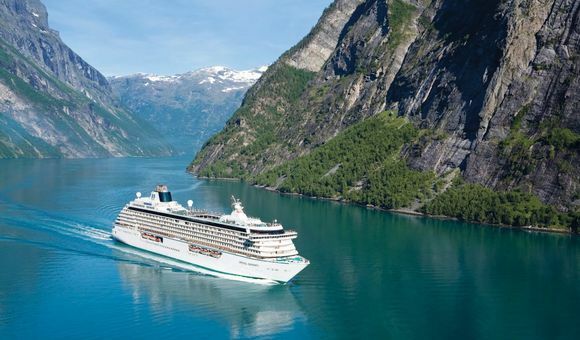 Crystal Cruises was the first company to sail the Northwest Passage, a stunning route from Alaska to Canada to Greenland and then back down to New York. Or you could also go on a once-in-a-lifetime Antarctic adventure and discover beautiful rugged landscapes on horseback.